(Bridgewater, N.J., Jan. 30, 2017) – The Somerset Patriots have announced the signing of infielder Alfredo Rodriguez for the 2017 season. Rodriguez enters his first season with the Somerset Patriots and first in the Atlantic League. The 6’0” natural shortstop previously spent the last two seasons with the Joliet Slammers of the Frontier League. 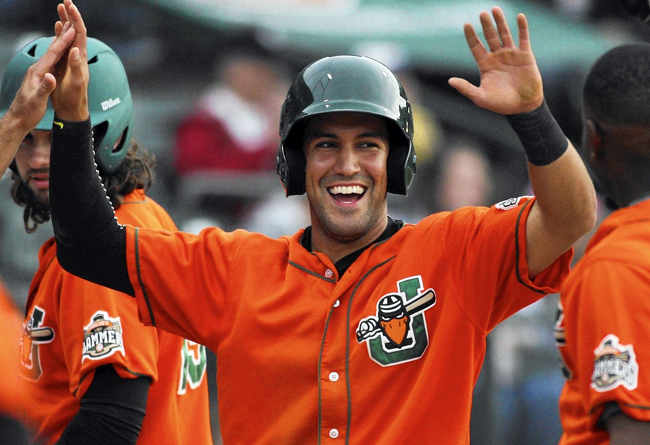 Rodriguez never missed a start in his two seasons with the Slammers, both years leading the league in games played (96). Last year, the Oak Hill, Virginia native hit .281 with a career-high 21 stolen bases over 96 games played. In 2015, Rodriguez batted a career-high .287 over 96 games with 18 stolen bases. In each of his five professional seasons, Rodriguez has always held an on-base percentage of .341 or higher. That includes a career-high .385 OBP last year in Joliet. His career on-base percentage stands at .368. The University of Maryland alumnus was originally drafted in the 17th round of the 2012 draft by the Milwaukee Brewers. He spent the first three years of his career in the Brewers organization, including a season with High-A Brevard County in 2014. Rodriguez owns a career .276 average with 12 home runs, 165 RBI and 72 stolen bases over five professional seasons.